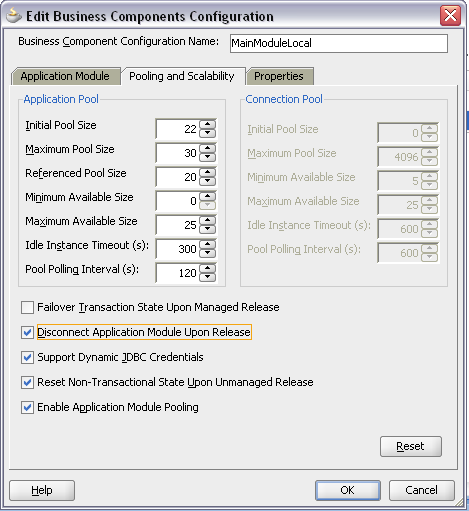 Today I will describe how jbo.doconnectionpooling = true and jbo.txn.disconnect_level = 1 properties affect ADF application performance. Read more about these properties - ADF BC Tuning with Do Connection Pooling and TXN Disconnect Level. 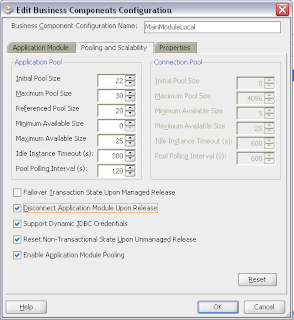 Previous posts related to ADF BC application stress testing - Stress Testing Oracle ADF BC Applications - Internal Connections. We will see that with jbo.doconnectionpooling = true and jbo.txn.disconnect_level = 1, average request processing time is faster. Performance boost is achieved, because passivation/activation circle happens in memory (data remains in memory) - data is not being stored into PS_TXN table, this allows to save execution time. After each request, we are releasing DB connection, this allows to save server resources as well. However, please keep in mind - this tuning approach is suitable mostly for such use cases, where database connection doesn't keep temporary data in database (for example - post changes or long running locks). Because of frequent database connection switch, you may loose such data. Download sample test case - stresstest_v3.zip. Stress test is performed with 80 concurrent users, 16000 transactions in 10 minutes (see previous posts for more details on JMeter script). Andrejus we were attempting to test these changes in our applicaiton but we have been having trouble with a file upload component. First of all i cannot get the file upload to work through jmeter at all. And second upon setting the disconnect level to 1 and using the app through the web browser the file upload is failing. The odd this with this is that the metadata of the file is making it into the ordsys column but the file itself is not there. Can you provide any insite or testing of the file upload with or without the disconnect level property. It would help if you could send me sample app with reproducable case. Is it possible? I could reproduce something but not until next week. Have you tested anything using file upload. No, I didnt had such requirement to test. In our next major release, we've further enhanced this mechanism to support a recycle threshold concept for the DB connection pool just like the AM pool offers. Within a given recycle threshold, the DB connection will attempt to stay "sticky" to a given user, but like the AM pool it's not a guarantee, so you might end up getting any JDBC connection in the pool, but if we are able to keep it sticky then there's a bit of time we can save for that user.
. 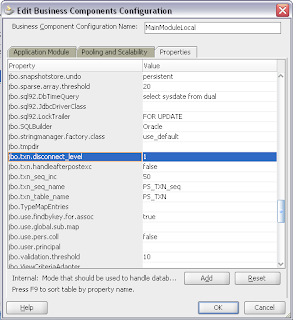 I saw jdbc dashboard on jmeter . This is not part of JMeter. All statistics are extracted from Oracle Enterprise Manager. "this tuning approach is suitable mostly for such use cases, where database connection doesn't keep temporary data in database"
How could I know that "database connection doesn't keep temporary data in database" in my ADF application? When this happens? This depends on architecture of your system. 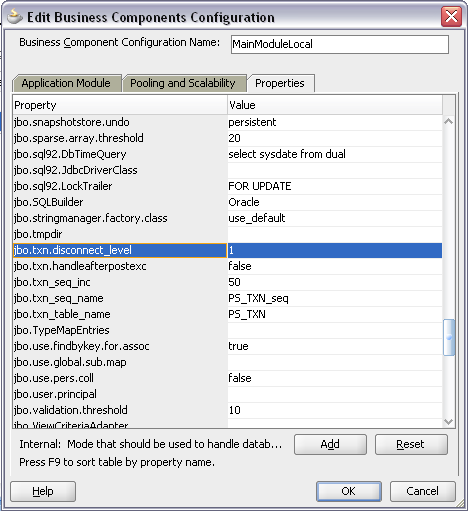 For example if there is PL/SQL code that holds temporary variables in DB between requests for current JDBC connection. Which is considered bad practice anyway. I would be thankful if you could take a look at it.